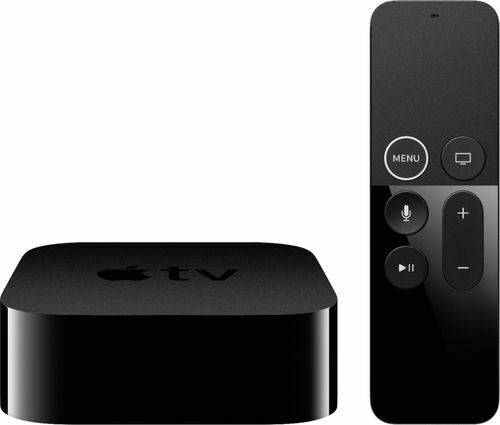 Is Apple TV Right for You? Apple TV is a small box that connects to your TV via its HDMI port. It gives you the ability to watch streaming services from the Internet on your TV, and it allows you to “mirror” the screen from your iPhone, iPad, or Mac to your TV. To use Apple TV, you need to have Internet access, and you’ll have to connect your Apple TV to your home Wi-Fi network or router via Ethernet cable. Connection to Wi-Fi is pretty easy as long as you know your Wi-Fi password. I’ve owned an Apple TV for some time now. My conclusion is that it doesn’t replace cable, but it does have good content. It’s the only streaming device that natively plays video from the iTunes store. It has apps for many other services like Netflix, Hulu, and so on. If you want to rent videos, especially video on iTunes, and you have other Apple devices and iTunes content, Apple TV might be right for you. If you don’t have iTunes content, then check out the Roku 3 or Amazon Fire TV, which have the latest features. If you want a selection of top movies and TV to watch, you’ll have to either subscribe to Netflix or purchase shows and movies from the iTunes store (top-release moves are around $4.99, compared to $3.99 on Amazon). If you don’t already have purchased movies on iTunes, then Amazon with Roku is a better choice, since the movies are cheaper. The new Apple TV also offers Sling TV, a $20-per-month service that offers ESPN, AMC, and other cable channels. This is not available on older Apple TV’s though. Through the use of a wireless technology called Airplay, Apple TV can display whatever is on your iiPhone, iPad, or Mac screen onto your TV. So basically, you have the ability to view any iPad app on your TV! Above is my 42″ flatscreen TV mirroring my iPad screen while using the NBC iPad App. Note that I had to use my TV’s zoom feature to make the picture fill the whole screen, but picture quality was still good. So, while the Apple TV itself doesn’t have the hundreds of channels that Roku does, it basically allows you to view any app that will run on your iPad, which kind of makes up for the lack of native Apple TV channels. See my favorite iPad apps that offer video here. Note that really old iPhones, iPads first gen, and Macs made before 2011 don’t support Airplay. But all recent Apple devices do. Overall, Airplay is a killer feature, and it’s the one reason that I still use my Apple TV from time to time, even though I usually use a Roku. Otherwise, Roku has more apps and is cheaper! Amazon Fire is a good option as well.